Which of These Works for You? Nonprofit organizations need volunteers, but finding them and convincing them to help can be a challenge. Numerous methods can be used to recruit volunteers, and some will be more appropriate for your organization and its particular needs than others. Take into account the jobs you need filled and then consider who could do those jobs best and who might be interested. Warm Body Recruitment: This is when you need a large number of volunteers for a short period and the qualifications to complete the task are minimal. It may include things like distributing brochures and posters or even recruiting additional volunteers. Targeted Recruitment: Targeted campaigns require a carefully planned approach geared toward a small audience. Use this method when you are trying to recruit volunteers that need to have specific skills or uncommon characteristics. Determine what you need, who can provide it, how you can reach them, and how you can motivate them in order to identify and locate the volunteers you need. Once you find a source of such volunteers, take your recruitment message directly to them. Concentric Circles Recruitment: This type of recruitment requires you to identify and contact people who already are in direct or indirect contact with your organization. These might be clients or friends and family members of your clients, former members of your organization, friends of current staff, or those who have been impacted by the problem your group was created to address. 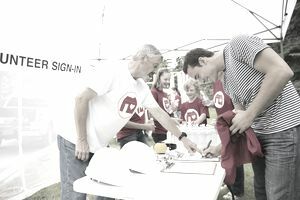 It is more likely that you will succeed in persuading these people to volunteer than complete strangers. To put it in sales terms, it's the difference between a cold call and a warm call. No matter which recruitment method you use, you must have a compelling message. You need to explain why your agency is worthy of that person's time. Make your message short, simple, and direct, communicating the need for the volunteer's service and the good he or she can do. Stress the needs of the community for the service, but also point out the benefits the volunteer will receive. These include doing good works, but there may be skills and valuable experience that the volunteer will gain. While finding volunteers the old fashioned way through referrals and local contacts still works best, the use of online volunteer matching sites has taken off. These sites match volunteers with organizations in need of help. Be sure to check out sites that serve your specific region as well. Many large cities have such sites. For instance, Baltimore has VolunteerCentral, while the United Way of Tucson, Ariz., serves as a city-wide volunteer clearinghouse. A comprehensive volunteer page on your website also can assist with recruitment. Make the page fun and informative and include examples of what previous or current volunteers have gained from their experiences.